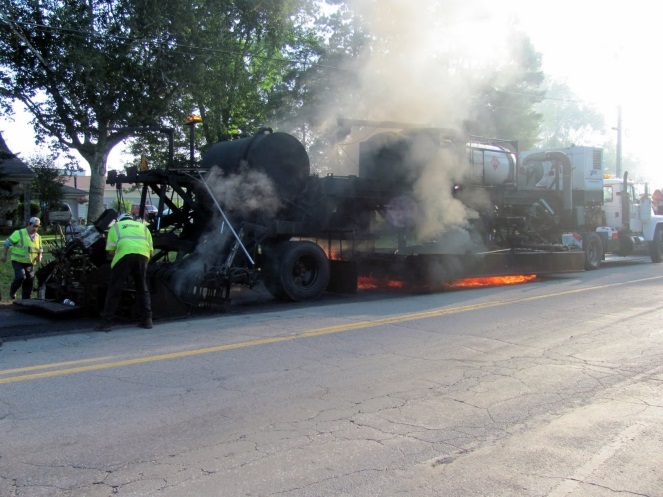 Surface recycling – Existing asphalt surface is heated and scarified to a specified depth; scarified material is combined with aggregate and/or recycling agent; and recompacted. 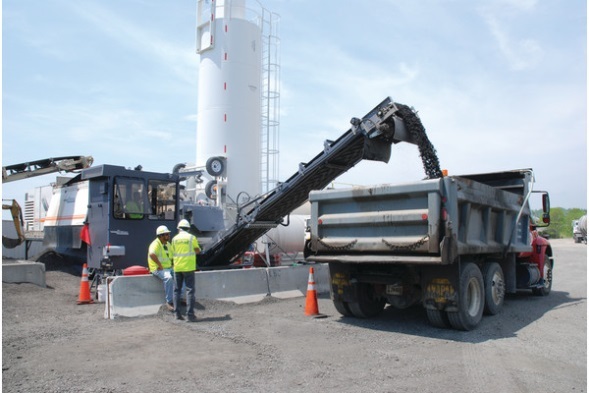 A new overlay or treatment is placed in the recycled mix. 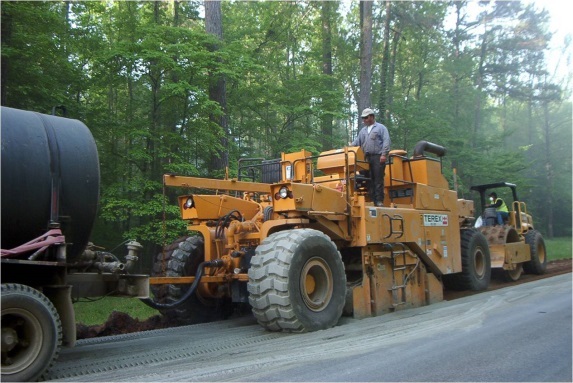 Repaving – A simultaneous combination of surface recycling with a HMA/WMA overlay placed and compacted at the same time. 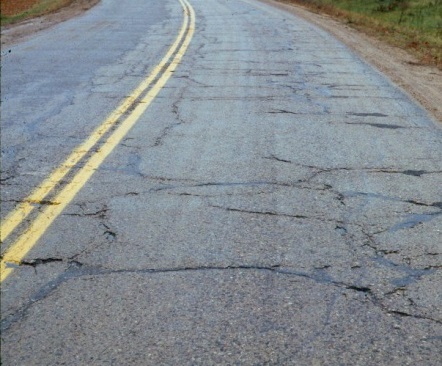 Cold In-place Recycling (CIR) is where the existing pavement is pulverized/manipulated in-place and recompacted into a pavement layer. No transportation of materials is usually required (except for any recycling agent or binder) and aggregate can be added. Normally, either a foamed asphalt binder or an asphalt emulsion is added as a recycling agent or binder and proportioned as a percentage by weight of the RAP. Portland cement, fly ash or quicklime is sometime added to improve mix stability.